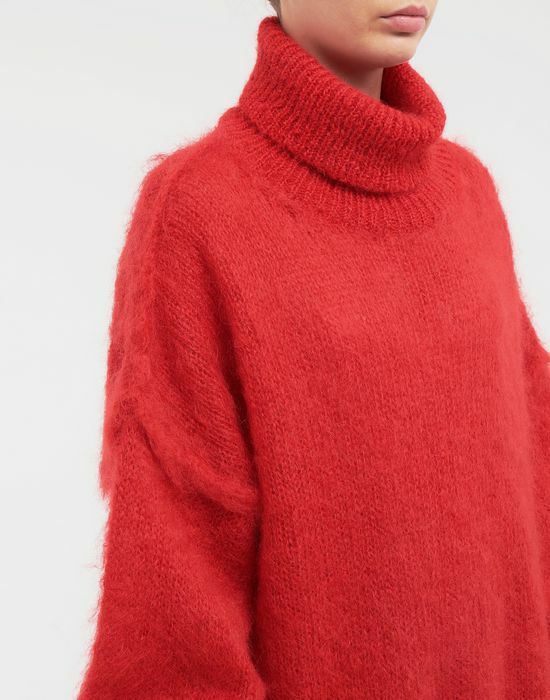 This bold knitwear look is a key piece of the autumn-winter collection. 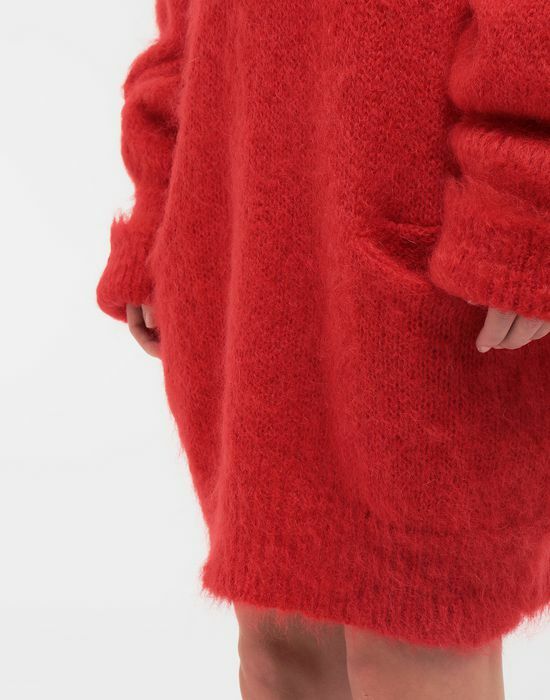 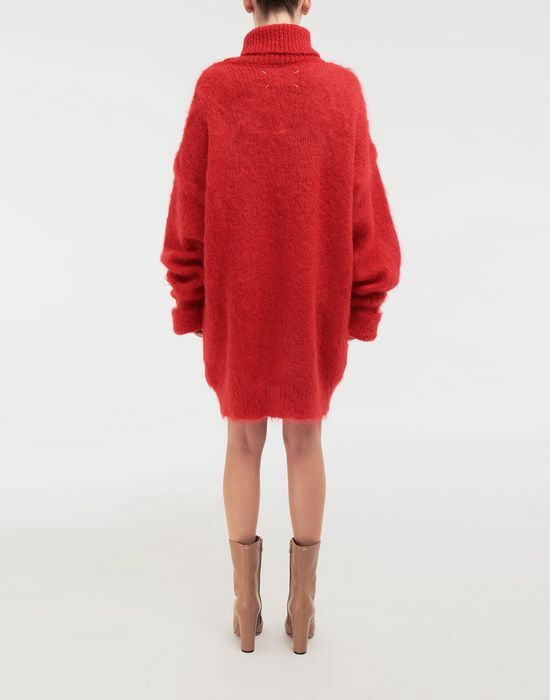 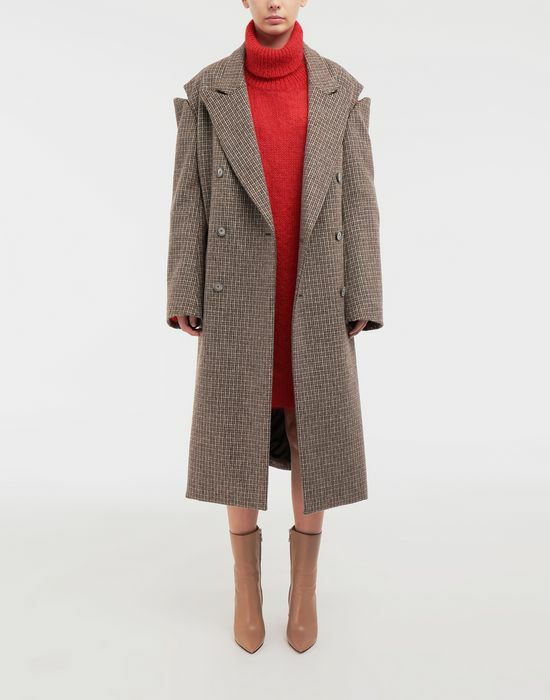 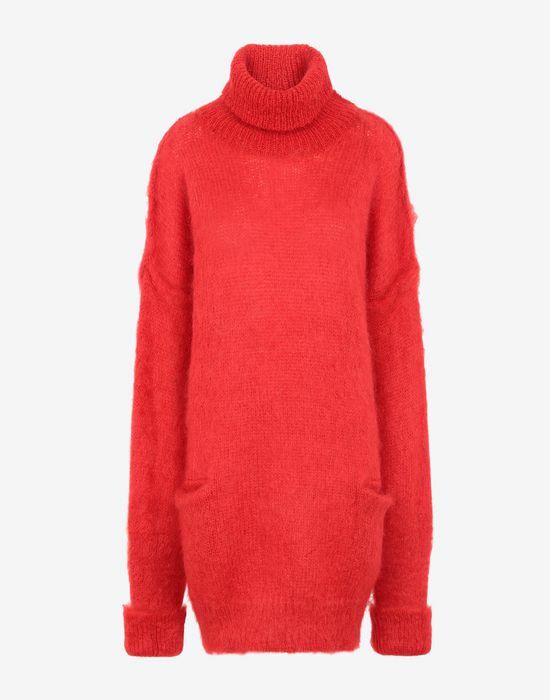 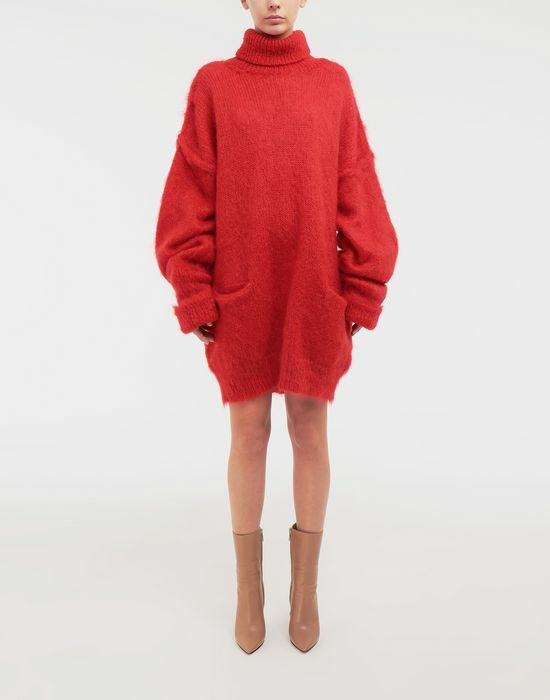 Textural mohair is crafted into an exaggeratedly oversized sweater combining a high neck with extra-long sleeves and a long-line cut. 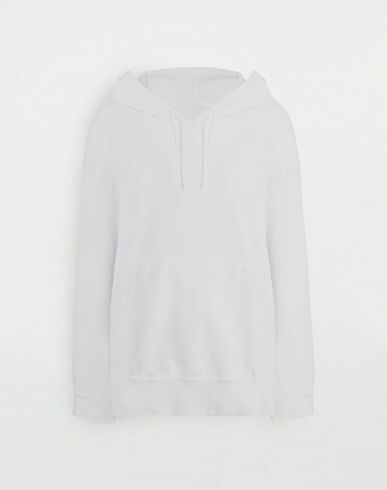 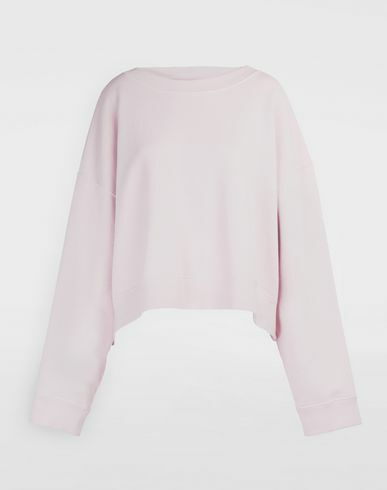 The neck, cuffs and hem are ribbed and two large open pockets feature on the front. 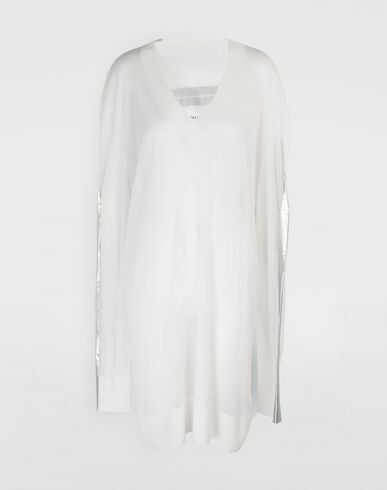 The dropped shoulders have an exposed seam with the raw cut maximising the enlarged silhouette.